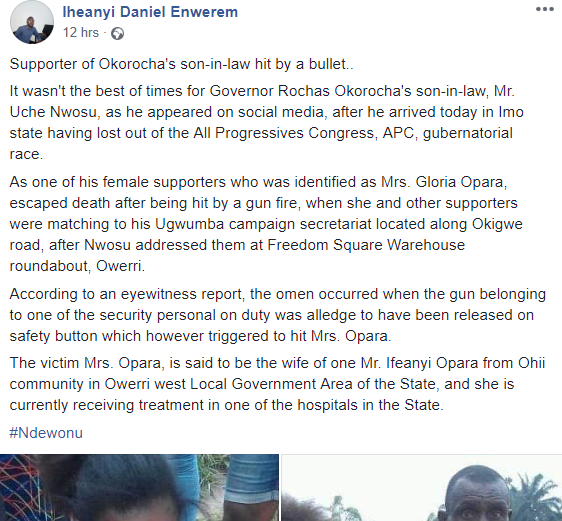 A young lady was accidentally hit by a stray bullet during a public event organized on Tuesday for the son-in-law to the Imo State Governor. Uche Nwosu met with supporters at the Freedom Square Warehouse roundabout, Owerri, Imo state. Afterwards, the supporters began a march to the Ugwumba campaign secretariat located along Okigwe road. 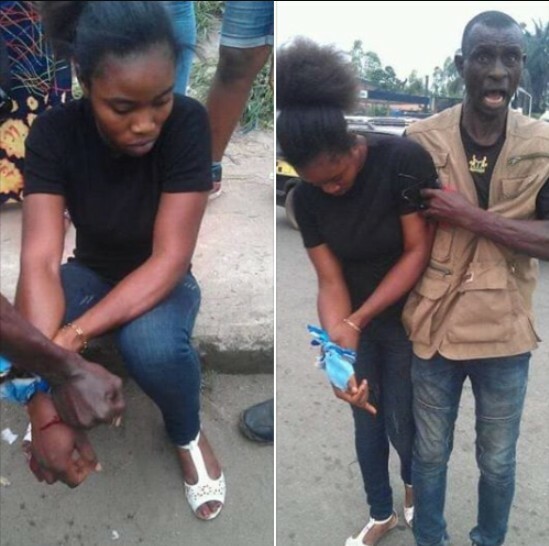 During the march, a female supporter, identified as Mrs Gloria Opara, was shot in the hand.